Many herbs are used with spices in various weight loss concoctions, but three herbs can be used by themselves for weight loss results. Stinging nettle, fennel and cilantro can all be consumed to boost metabolism and help you lose weight naturally. Stinging nettle (Urtica dioica) is known for its powerful sting whenever you accidentally brush against it. The plant has very fine stinging fibers called hairs. These hairs contain difference acids that can cause a burning and itching sensation to your skin. The discomfort can last for several days, so avoid touching the plant with your bare hands. Before you can use this herb, you'll want to either boil or steam the leaves to effectively kill the stinging hairs. Tea: Slim for Life author Gillian McKeith recommends drinking three to four cups of nettle tea daily. If using loose dried leaves, add one or two teaspoons to boiled water, let steep for five minutes, strain and drink. Tea made from dried nettle leaves and flowers can also be found in herbal blends. Cooking: Stinging nettle leaves can be cooked into food like spinach in stews, soup, or other dishes. You can even make things like sautéed stinging nettles or a spinach-nettle omelet. Stinging nettle is believed to boost your metabolism and effectively suppress your appetite. The herb's cleansing ability is so good that it helps your body get rid of metabolic waste. This waste is stored in your lymphatic system and muscle tissue. Getting rid of these impurities will naturally result in a healthier body and possibly an increase in activity. These responses result in weight loss for most people. 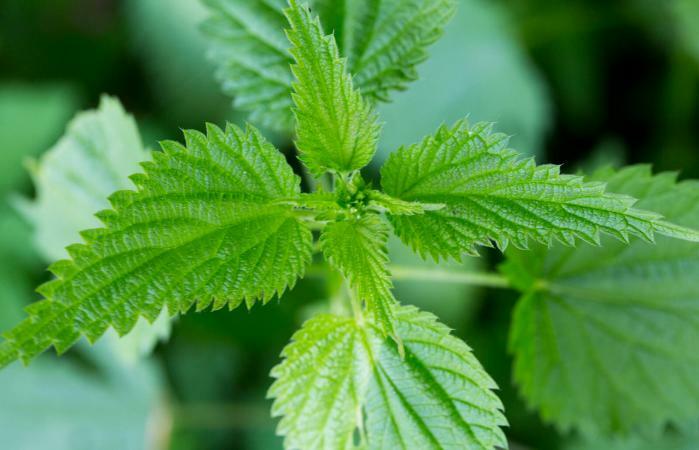 While there have been no official studies on the effectiveness or side effects of stinging nettle, it's common to have an upset stomach at first. Pregnant women should not use it since the herb can "stimulate uterine contractions." Diabetics could experience disrupted blood sugar levels. If you're taking diuretics or other prescription drugs, check with your healthcare professional before taking stinging nettle. Fennel (Foeniculum vulgare) is mostly known for culinary use, but this herb also has amazing health benefits, with weight loss being one. 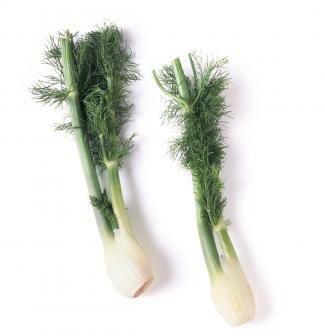 A widely used digestive aid, fennel also detoxifies while providing a great weight loss aid. The seeds are used as a spice but can also become a weight loss drink, just as the leaves are used for a tea. Teas are made using various parts of the plant. You can make tea from the leaves, seeds and/or root; it's a personal preference. Try one of these methods to find your ideal weight loss aid. Seeds: Typical fennel tea is made by crushing dried seeds until pulverized into a powder. The powder is then steeped in boiling water. Leaves: Some people prefer to use either fresh or dried leaves for a tea. Combination: While you can use just the leaves or seeds for a tea, some recipes call for combining crushed fennel seeds, bruised whole fennel leaves and chopped fennel root. For centuries, fennel has been used in the Middle East, China and India for various ailments. Fennel soothes the stomach and other organs and aids digestion. The herb also has anti-inflammatory properties and prevents gas from forming. This process boosts digestion with faster and efficient absorption. The herb boosts metabolism while suppressing your appetite. It also increases urination. 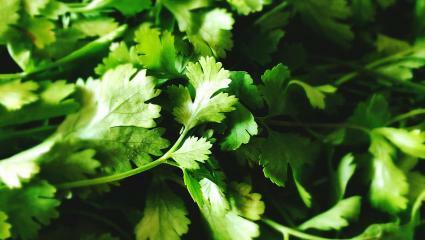 Coriander or cilantro (Coriandrum Sativum L.) is known as a gut cleanser and assists in weight loss. You can use the leaves and the seeds of this herb for effective weight loss. Drinking tea or other beverages made from coriander seeds or leaves (or a combination of both) is believed to aid in weight loss. Blogger Seema documents her journey in losing 70 pounds, which she credits in large part to drinking coriander tea made from the plant's leaves. In addition to this tea, she makes other versions by adding cardamom. In a third version, she crushes coriander seeds and mixes with coriander leaves for a potent tea. She also juices coriander leaves to consume as a weight loss aid. The National Institutes of Health states, "The plant [coriander] has a very effective antioxidant" in relationship to research on the herb's ability to cleanse the liver. The liver plays a vital important role in the metabolism of fat to convert into energy while ridding the body of toxins. Being high in quercetin, coriander also helps reduce bad cholesterol. This also will increase your metabolic rate aiding your liver to burn more fat. All of this results in aiding weight loss goals. Using herbs as part of your weight loss plan is as easy as pouring a kettle of boiling water over a tea bag. You can add a cup or two of your preferred herb to get you started on your weight loss journey.